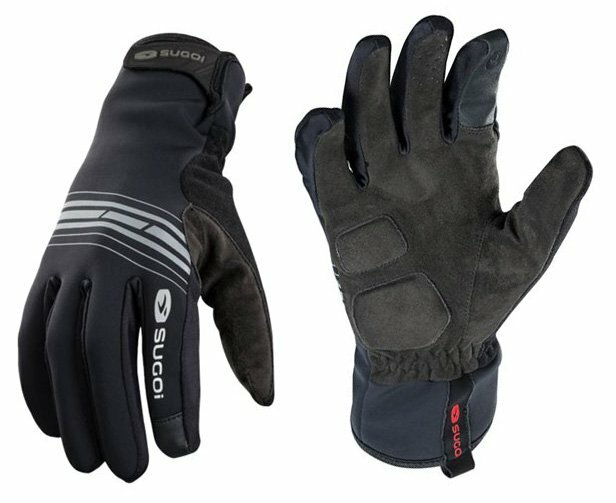 Sugoi's Zero Plus Gloves are pre-curved to offer an ergonomic fit making them comfortable from the very first ride. A combination of windproof thermal protection and lightweight construction makes them a great choice for cool conditions when fit, feel, and warmth are all important factors in keeping you comfortable. Touch screen compatible finger tip makes the use of touch screen devices possible while out on your ride. Reflective accents help you to stay visible when out riding at night or in low light conditions. Additional features include water resistance, wind resistance, warm wick technology, and breathable fabric. I live in California, so these work for most of my winter rides except when it gets down below 40. These fit well and are bit longer up the wrist, which allows you to pull your jacket over them for a good fit. They work well with my phone and include terry cloth panels for the all important nose wipe on crisp mornings. No complaints.